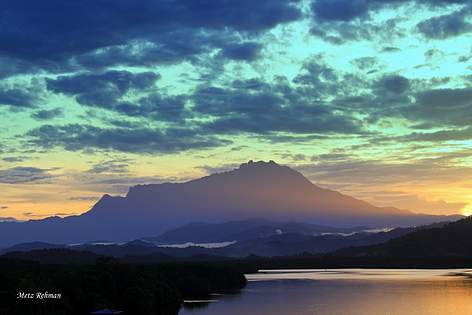 Sabah- the land below the wind, has a total of 93 protected areas. The majority of protected areas in Sabah are owned by the State government, managed by a specified government authority, and are gazetted under the Land Ordinance 1930 (as reserve for conservation purposes), Parks Enactment 1984 (as a Park), Wildlife Conservation Enactment 1997 (as Wildlife Sanctuary), or Forest Enactment 1968 and its subsequent amendments (as Forest Reserve). Wildlife Conservation Areas established under the Wildlife Conservation Enactment are unique in that they can exist on State land and alienated land. In total there are 93 named protected areas in the State. Existing and potential threats identified for terrestrial protected areas in Sabah are legal and illegal land clearing, legal and illegal land conversion, and legal and illegal hunting. Tourism and recreation activities are included as a pressure and potential threat in recognition that some negative impacts may be caused by park visitors. In Sabah there are three strategies that we are currently working on. The first one is the Assessment of PAs in Sabah & Sarawak using the METT Toolkit. This strategy aims to assess the management effectiveness of the PAs and to identify gaps in the current PAs management. It is also to enable park managers and donors to identify needs, constraints and priority actions to improve the effectiveness of PA management. The second strategy is to develop a sustainable long-term management plan database for Sabah and Sarawak PAs. This strategy aims to develop a complete listing of terrestrial and marine protected areas in Sabah and Sarawak, and identify under which category it represents based on the six IUCN protected area categories. The third and last strategy is on having capacity building programmes to ensure effective implementation of protected area initiatives. This strategy aims to strengthen the capacity of the protected area staff in the overall management of the protected area operations and to provide them with the necessary skills and knowledge for better protection and management of protected areas. Bornean Biodiversity and Ecosystems Conservation (BBEC) project funded by JICA.